[CLOSED] 400+ followers giveaway - Win 3 masks of your choice! | Memorable Days : Beauty Blog - Korean Beauty, European, American Product Reviews. [CLOSED] 400+ followers giveaway - Win 3 masks of your choice! Memorable Days has reached 400+ followers recently ^___^~! YAYYYY~! Thank you all for following my blog and all your support for the past year. This blog has become one of my largest hobbies and it means a lot to me. Besides, I'm very happy that I got to know many sweet bloggers ^^. Although a lot of you are living on the other side of the world, I do feel that we all have a lot in common :). Not all of you are commenting on my blogposts but I wish y'll did because I will at least know your opinion about the subject and I will be able to interact with y'll :). Anyways, to thank you all I am going to have another giveaway. This giveaway won't be huge since I'm planning to have a large giveaway when I reach 500+ followers ^o^~! Y'll know that I'm in love with masks right \^o^/? One of those brands that I'm loving is the Dutch brand, Dr. van der Hoog. I wrote a few reviews about some of these masks before. You can check them out if you're interested: blogposts. These masks are only sold in The Netherlands, but this give away will be worldwide so that people in different countries will be able to try it as well. Therefore, this giveaway is open internationally. I'm giving away 6 cream masks in total and I will pick 2 lucky winners. That means that each winner will win 3 cream masks. (One mask is worth €2,10). The good part is that YOU may choose 3 cream masks that you would like to win. Make sure that you know which skin type you have, because every mask is for a different type of skin :). Step 1: Follow Memorable Days through bloglovin'. Step 2: "Like" this blogpost on bloglovin'. Step 4: Let me know which 3 masks you would like to win. > For 1 extra entry: "Like" Memorable Days on facebook. Add your fb name in the comment section. And you're done ^____^! If you don't know what bloglovin' is you can read that on a previous blogpost of mine HERE. Only people with a bloglovin' account may participate in this giveaway. If you don't have an account there you can easily make one here: http://www.bloglovin.com/en/signup. This giveaway is closed. The two winners will be chosen through random.org. Good luck! 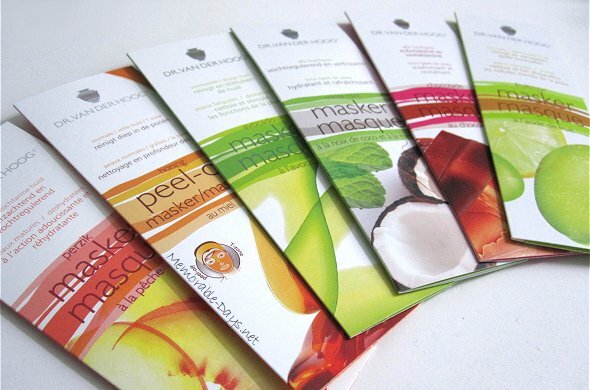 Masks I desire: Chocomint, Honeymask en Fruit Acid! If I win i would like to have: avacoda, peach and chocolate. ppfff ik wil geen bloglovin aanmaken =_="
Ik volg je via Bloglovin en heb dit bericht geliked en ook op FB heb ik geliked met als naam Nathalie Madsen. Heel leuk idee om te laten kiezen! ik heb een combinatie huid! sommige stukjes zijn wat vettiger. fruit acid mask, peach mask, honey mask. ik volg je op bloglovin en heb dit geliked! Girls, don't forget to mention your email ;) otherwise I won't be able to contact you. Can Belgium participate? If so, I follow you already since a long time ago on Bloglovin', liked this article. Name is Lisa and e-mailadress is kreejziegurl[a]gmail.com. 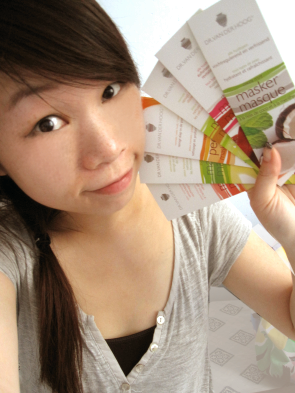 I would like to win these 3 masks: Coconut mint mask, Chocolate mask and the Avocado mask. Oh ye and I also liked yout facebook :D Man, lol at me. Name is Hana Kuriplachová with a cat picture haha. Follow Memorable Days through bloglovin'. "Like" this blogpost on bloglovin'. I have followed Memorable Days en liked this blogpost in bloglovin'. Mijn keuze gaat uit naar: Chocomint, Chocolate en Fruit Acid! × Ik volg je op bloglovin' en heb het bericht geliked. Thanks for the great giveaway Elisa! I would love to win the Avocado mask, Fruit acid mask and Peach mask. Liked and am following you on Bloglovin. Avocado, Chocolate and Coconut mint mask. Anyway... Congrats for your blog!!!! I liked the post and the masks I'd love are: Chocolate, honey and Avocado. i follow u on blogloving already ^^ and iliked th post! I'm following with bloglovin', loved your post and liked your fb! i follow you through bloglovin' and like the post. Ik hou van dr van der hoog dat is het enige budget gezichtsmerk waar ik geen geiriteerde huid van krijg. I have followed Memorable Days on bloglovin' under "orhighwater"
Liked the post on bloglovin' under "orhighwater"
Chocolate, fruit acid, and honey masks for me please! Liked Memorable Days on facebook under "Dana Li"
i followed your blog & liked your blogpost on bloglovin', and also liked memorable days on facebook (name: anam rashid). i'd like the coconut mint (#1), chocolate (#2), and fruit acid masks (#3). thanks, and i look forward to your future posts~!